Habitat Middle part of rivers, lakes, and sea. Range in Japan Ayu from Biwako Lake (Shiga Pref.) is released to almost entire Japan. Route For sports fishing and food. Impact Unknown impact. The Biwako Lake popuplation may not hybridize with river populations and may not be established in rivers because of differences in phenology and physiology. The Biwako population is possibly established in lakes. 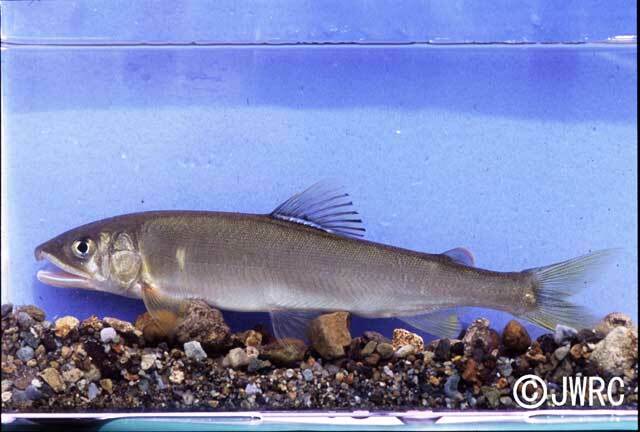 Regulation in Japan Capture of this species is controled by almost local governments. Accidental hitchhiking on release of ayu may be a major introduction route for introduction of alien freshwater fishes within Japan.